What better place to spend a couple of days than in the Abel Tasman National Park, where Autumn days mean calm seas and crisp, clear blue skies. Board your comfortable cruising catamaran at Kaiteriteri and with any luck you'll spot dolphins, seals and little blue penguins on your cruise up to Awaroa Bay. Stroll along the famous Awaroa beach or explore the coastal track and then relax in front of the log fire in the evening. Kids Go Free this School Holidays! 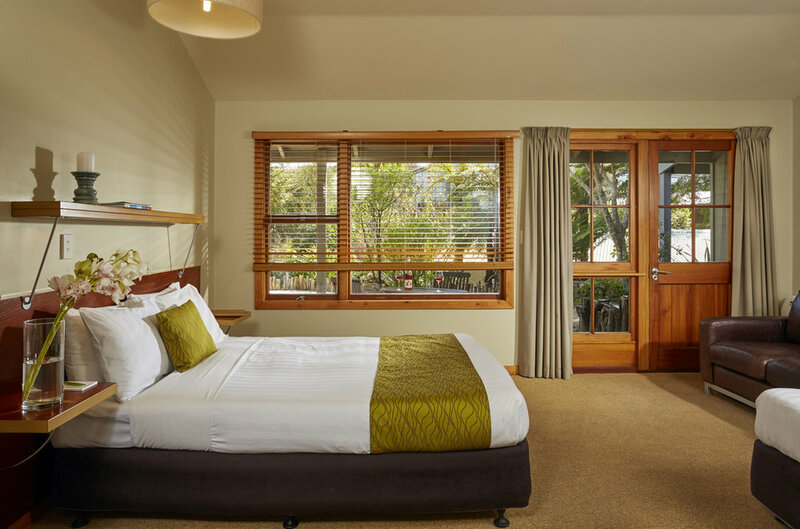 When was the last time you took the kids to stay in the Abel Tasman? Autumn can get a bit chilly for camping so how about a cosy bed, hot chocolate, glow worm walks after dark, sand between the toes …? Bring the kids to Awaroa Lodge for free this school holidays - free breakfast and dinner (off the kids menu only), free water transfers for kids with Abel Tasman Sea Shuttle and a great reduced rate on the accommodation. This two night package is perfect for those extra special occasions such as a low key honeymoon, an anniversary, birthday or simply an indulgent few days away. Price shown is based on 2 people for 2 nights in a Standard room in low season - other room types and seasons available. 2 nights accommodation in a Standard room (optional upgrade to a Superior Suite). 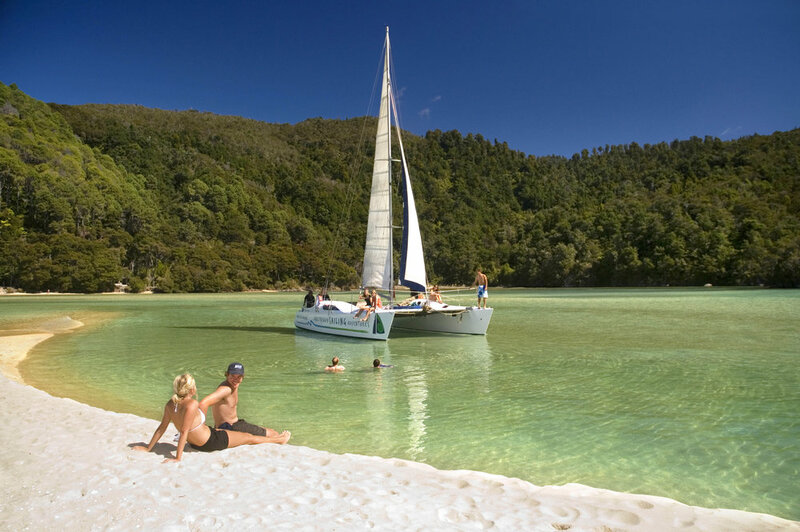 Return water taxi transfers from Kaiteriteri with Abel Tasman Sea Shuttle. A chilled bottle of bubbly and chocolates in your room on arrival. A delicious full cooked breakfast to start each day. Amp up the indulgence factor by transferring one way with Tasman Helicopters - price on enquiry. Let us take the hassle out of planning your getaway with this inclusive package. Return water taxi transfers from Kaiteriteri with Abel Tasman Seashuttle. Package not available for stays between 10 December - 10 January or 04 April - 30 April 2019. This 2 night package includes accommodation, a sailing experience and water transfers as well as some meals. Pricing based on low season 2 Adults/2 Children - other variations available. This package is available when the Lodge opens for Spring from 1st September and is ideal for a day trip into the Abel Tasman National Park. Join our friends at Abel Tasman SeaShuttle for a cruise from Kaiteriteri (or Totaranui) to Awaroa Boay with the option to walk some of the famous coastal track (or walk off that decadent dessert!). Child pricing available. Groups welcome; bookings essential. NOTE: this package is not available during December 2018, January & February 2019. Valid for bookings until 30th April 2019.